Fels-Naptha is a bar soap that has been used to remove stains from laundry for over a hundred years. It is still available on the market, usually next to laundry soap and stain removers. Lazarus Fels and his son Abraham founded Fels and Company in Baltimore. The business eventually failed and Lazarus Fels's brother Joseph became a salesman representing two Philadelphia soap manufacturing businesses. He eventually purchased Thomas Worsley and Company and renamed it Fels and Company of Philadelphia. The business remained in the control of the Fels family until it was sold to the Purex Corporation in 1964. The Fels family were philanthropists, and contributed to a variety of worthy causes, including the establishment of two arts and crafts communities, one of which in Arden, Delaware still exists. Fels-Naptha contains solvents that dissolves greasy stains, including oil and grease, perspiration, chocolate, baby formula and cosmetics. The wet bar is rubbed into stains before putting clothes into the washing machine. You can also grate about one-third of an ounce of the bar into the washing machine as a detergent booster. It has been used as a folk remedy for contact dermatitis caused by exposure to poison ivy, poison oak and other skin irritants. However, the Dial company warns that Fels-Naptha should not be used directly on your skin. Fels-Naptha contains soap consisting of sodium tallowate and sodium cocoate or sodium palmate kernelate and sodium palmate. The word "sodium" refers to sodium hydroxide, the lye used to make soap, in this case with tallow, coconut oil, palm oil or palm kernel oil. It also contains water and talc. Coconut acid, palm acid and tallow acid are fatty acids derived from plants and animals. They are emollients and surfactants, cleaning agents in other words. PEG-6 methyl ether is an extract of juniper. Fels-Naptha also contains glycerin, an emollient; sorbitol, a sugar alcohol derived from fruits, corn and seaweed, a moisturizer; and sodium chloride, ordinary table salt. Pentasodium pentetate and/or tetrasodium etidronate are inorganic salts used as emulsifiers and dispersing agents. Titatium dioxide is an opaque white pigment. The soap also contains fragrance, source not specified and acid orange and acid yellow colors. Some of the ingredients in Fels-Naptha are of concern, such as titanium dioxide, which is known to contaminate the ocean and lakes and harm wildlife. 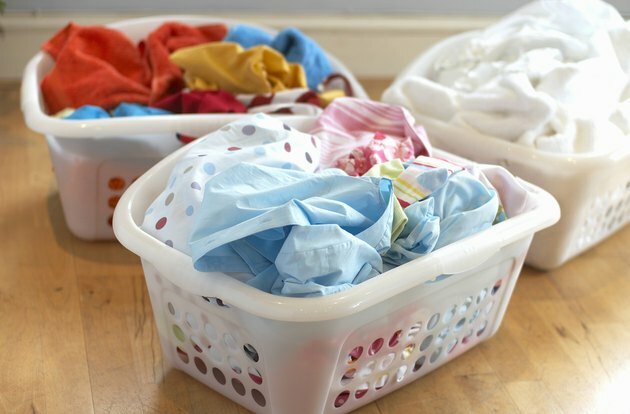 According to Material Safety Data Sheets, Fels-Naptha is safe for consumer use in the laundry. The MSDS does give warnings about occupational hazards, and those who work with Fels-Naptha soap in industrial settings are required to wear safety gear including goggles and gloves, because it is an irritant. Naphtha is the name for a petroleum derived solvent, and includes such solvents as gasoline and kerosene. Originally Fels-Naptha contained benzene, another name for naphtha, which dissolves oil and so is very useful for oily stains. This ingredient is what made Fels-Naptha such a success, making it possible for homemakers to get their laundry cleaner with less effort. However, Fels-Naptha no longer contains benzene. The Ultimate Learn And Resource Center: What is naphtha?